Following the implementation of the nationâ€™s switch from analogue to digital broadcasting, otherwise known as the Digital Switchover (DSO), by the Nigeria Broadcasting Commission (NBC) as mandated by the International Telecommunications Union (ITU), childrenâ€™s broadcast contents appear to be gradually going into extinction. This is not because producers are not creative and proliï¬c or lack capacity to produce childrenâ€™s content, but the advertisers, who are their major ï¬nanciers, have defocused their attention from children as their primary target. Their claim is that children do not make buying decisions, and as such they have adopted mothers as their target audience and moved their advertising spend to dramas, soaps and Telemundo which are often rated PG 16. Imagine the children are saying you have no right to tag any content PG 16 when you have not made provisions for any content under 16! The Minister of Information and National Orientation, Alhaji Lai Mohammed, speaking on the benefits of successful migration, said the nationâ€™s television industry was expected to generate $1billion annually after the completion of the digital switch over, pointing out that industries like the Nigerian film industry, Nollywood, would rake in additional $250m to the economy yearly. â€œFor content providers, this is boom time, as the demand for content will skyrocket, thus allowing our youth to give vent to their creativity. For viewers, there will be a harvest of channels,â€ the minister stated. The DSO, according to him, is at the dawn of a new era for government, television channels, producers, advertisers and most importantly, the Nigerian TV customer. He explained that television stations would no longer need to worry about signal transmission, thus paying more attention to content. Thus the DSO has encouraged the entrance of several channels but how many are producing childrenâ€™s content? There is one on Star Times, JYB channel 361 but how does it stay aï¬‚oat when the advertisers keep insisting they are not targeting children. Also JYB has to pay transmission fees to star times while stations that enjoy huge adverts slots such as Channels, STV, AIT, e.t.c do not pay such fees! The noodles and beverage companies are spending huge sums on Telemundo to the detriment of childrenâ€™s programs. Where are Young Scholars, KKB Show, CC Show, Kali Jos and other childrenâ€™s programmes? They have all gone on-air due to exorbitant air time rates and no sponsorships from advertisers. As childrenâ€™s programmes go on-air, our children are now left with adult programmes and are becoming adults as a result of what they see on air. 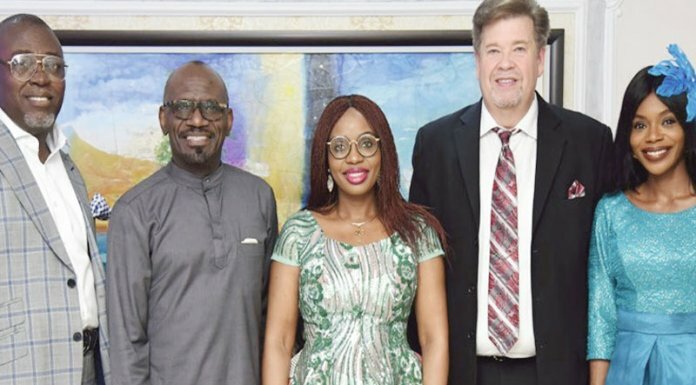 We enjoin all well-meaning Nigerians to add their voices to the urgent cry for the sponsorships and patronage of childrenâ€™s programs on television and radio.